OneRepublic performing in Toronto, Canada in 2017. OneRepublic is an American pop rock band formed in Colorado Springs, Colorado  in 2002 consisting of lead vocalist Ryan Tedder, guitarist Zach Filkins, guitarist Drew Brown, bassist and cellist Brent Kutzle, and drummer Eddie Fisher. 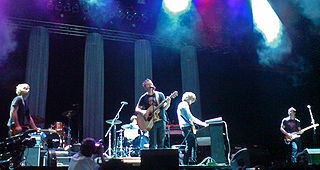 The band first achieved commercial success on Myspace as an unsigned act. 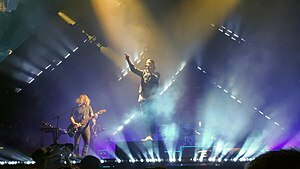 In late 2002, after OneRepublic played shows throughout the Los Angeles area, a number of record labels approached the band with interest, but the band ultimately signed with Velvet Hammer, an imprint of Columbia Records. They made their first album with producer Greg Wells during the summer and fall of 2005 at his studio, Rocket Carousel, in Culver City, California. The album was originally scheduled for release on June 6, 2006, but the group was dropped by Columbia two months before the album ever came out. The lead single of that album, "Apologize", was released on April 30, 2006, on Myspace and received some recognition there, becoming number one on the Myspace charts. Pop rock is rock music with a greater emphasis on professional songwriting and recording craft, and less emphasis on attitude. Originating in the 1950s as an alternative to rock and roll, early pop rock was influenced by the beat, arrangements, and style of rock and roll. It may be viewed as a distinct genre field, rather than music that overlaps with pop and rock. The detractors of pop rock often deride it as a slick, commercial product, less authentic than rock music. Ryan Benjamin Tedder is an American singer, songwriter, multi-instrumentalist, and record producer. As well as being the lead vocalist of the pop rock band OneRepublic, he has an independent career as a songwriter and producer for various artists, including Adele, Backstreet Boys, Beyoncé, Big Time Rush, Camila Cabello, Charlie Puth, Demi Lovato, Ed Sheeran, Foster the People, Hailee Steinfeld, Hilary Duff, Jennifer Lopez, Jonas Brothers, Kelly Clarkson, Leona Lewis, Logic, Maroon 5, MØ, One Direction, Paul McCartney, Selena Gomez, Shawn Mendes, Taylor Swift, U2, Westlife and Zedd. In 2007, OneRepublic released their debut album, Dreaming Out Loud . Its lead single, "Apologize", was remixed by Timbaland, becoming a huge international success, reaching number one in sixteen countries and subsequently earning them a Grammy Award nomination. The second single, "Stop and Stare", mirrored its predecessor's success. The album was later certified Platinum by the Recording Industry Association of America (RIAA). The band's second album, Waking Up (2009), produced the singles "All the Right Moves", "Secrets", "Marchin On", and "Good Life", with the latter reaching the top ten of the US Billboard Hot 100. Dreaming Out Loud is the debut studio album by American rock band OneRepublic. The album was released on November 20, 2007 by Interscope Records. The album was recorded between 2004 and 2006 and it was produced by Greg Wells, with two songs produced by singer Ryan Tedder, and was engineered and mixed by Joe Zook. The album followed two years of massive success on Myspace; the band had appeared in Myspace Music's Top Artists since early 2006, with over 28 million total song plays counted. Timothy Zachary Mosley, known professionally as Timbaland, is an American record producer, rapper, singer, songwriter and DJ. Native is the third studio album by American rock band OneRepublic. It was released on March 22, 2013 in Germany and Ireland, March 25 worldwide except North America, and March 26 in North America. The album was originally planned to be released at the end of 2012 with the lead single being "Feel Again", which was released on August 27, 2012. However, due to the album not being completed at the time, it was pushed back to early 2013. "Feel Again" was later branded as a promotional single, and on January 8, 2013, "If I Lose Myself" was released as the lead single for the album. "If I Lose Myself" is a song recorded by American pop rock band OneRepublic for their third studio album, Native (2013). It was released as the album's first official single on January 8, 2013. The song was written by Ryan Tedder, Benny Blanco, Brent Kutzle and Zach Filkins. It was produced by Tedder and Blanco while Kutzle served as the co-producer. The song peaked at number 74 on the US Billboard Hot 100 and number 6 on the Media Control Charts in Germany. In early 2014, the single was re-released in the UK after the huge success of "Counting Stars". On October 7, 2016, OneRepublic released Oh My My , their fourth studio album, which featured a number of collaborators, including Cassius, Peter Gabriel, and Santigold. Preceded by the singles "Wherever I Go", released on May 13, 2016, and "Kids", released on August 12, 2016, it was recognized as a change in their sound in contrast to previous albums by both critics and the band itself. In 2017, the band released the singles "No Vacancy", "Truth to Power", "Stranger Things" with Kygo and "Rich Love". To date, the band has sold approximately over 10 million records worldwide. Oh My My is the fourth studio album by American rock band OneRepublic. It was released on October 7, 2016, through Interscope Records. Peter Brian Gabriel is an English singer, songwriter, and record producer who rose to fame as the original lead singer and flautist of the progressive rock band Genesis. After leaving Genesis in 1975, Gabriel launched a successful solo career with "Solsbury Hill" as his first single. His 1986 album, So, is his best-selling release and is certified triple platinum in the UK and five times platinum in the U.S. The album's most successful single, "Sledgehammer", won a record nine MTV Awards at the 1987 MTV Video Music Awards and, according to a report in 2011, it was MTV's most played music video of all time. Zachary Douglas Filkins is an American musician and songwriter. He is a guitarist for the pop rock band OneRepublic. Twelfth grade, senior year, or grade 12 is the final year of secondary school in most of North America. In other regions it is also equivalently referred to as class 12 or Year 13. In most countries students then graduate at age 18. Some countries have a thirteenth grade, while other countries do not have a 12th grade/year at all. Twelfth grade is typically the last year of high school; graduation year. Fiona Apple McAfee-Maggart is an American singer-songwriter and pianist. Classically trained on piano as a child, Apple began composing her own songs when she was eight years old. Her debut album, Tidal, written when Apple was 17, was released in 1996 and received a Grammy Award for Best Female Rock Vocal Performance for the single "Criminal". She followed with When the Pawn... (1999), produced by Jon Brion, which was also critically and commercially successful and was certified platinum. Eddie Ray Fisher is an American musician and songwriter. He is the drummer for American pop rock band OneRepublic. 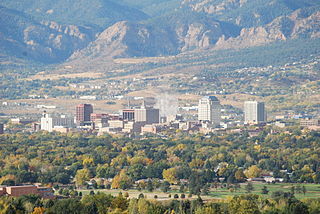 Eddie grew up in Mission Viejo, California and currently resides in Denver, Colorado, where OneRepublic is based. Fisher joined OneRepublic in 2005 and is the band’s drummer ever since. Brent Michael Kutzle is an American musician, multi-instrumentalist, songwriter, record producer, and film composer originating from Newport Beach, California. He is the bassist and cellist for the pop rock band OneRepublic. Their lead single, "Apologize", was released in its original version from Dreaming Out Loud . Timbaland, who at the time was one of the most highly visible artists/producers, approached the band to be featured on a compilation album he was working on, Shock Value . Timbaland rearranged the song slightly to give it more of an R&B feel adding backing vocals, guitar bass line, a new drum section, and autotune to the lead vocals. This along with the strong backing of the Timbaland name made it a major hit both in the United States and internationally. It peaked a number one globally, including eight consecutive weeks on the Billboard Pop 100 chart, subsequently reaching the top three of the Billboard Hot 100. The song sold five million copies in the United States alone, receiving a five-times Platinum certification from the RIAA. The song was a massive hit internationally, reaching number one in sixteen countries, including Australia, Austria, Germany, Italy, New Zealand and Sweden. It also spent thirteen weeks at number one in Canada. It has since been certified over 2x Platinum in 6 countries worldwide, including 4x Platinum in Australia. The song ultimately earned the band their first Grammy nomination for best pop performance in a group or duo. The second single from the album, "Stop and Stare", released in March 2008, reached the top ten in eight countries worldwide, including charting at number four in the United Kingdom, and topping the UK Rock Chart. It also reached number twelve on the Billboard Hot 100, and number nine on the Pop 100. Additional singles included "Say (All I Need)" and "Mercy". The album was later certified Platinum in the United States and Germany, as well as Gold in Australia, Austria, and Canada. OneRepublic's second studio album, Waking Up , was released on November 17, 2009,  charting at number 21 on the Billboard 200, and ultimately selling over 500,000 copies in the US and over 1 million worldwide. The lead single, "All the Right Moves", was released on September 9, 2009, peaking at number 18 on the US Billboard Hot 100 and being certified 2x Platinum. "Secrets", the second single from the album, reached the top five in Austria, Germany, Luxembourg, Poland and on the US Adult Pop Songs and Adult Contemporary charts. It has sold almost 4 million copies in the US as of August 2014. Furthermore, it reached number 21 on the Hot 100. The song was used in television series such as Lost , Nikita and CSI: Miami , as well as in the sci-fi fantasy movie, The Sorcerer's Apprentice and the trailer for Pretty Little Liars . "Marchin On", the album's third single made top ten appearances in Austria, Germany, and Israel, however it was the fourth single "Good Life" that became the band's most successful song from the album, particularly in the US. Released on November 19, 2010, it became their second top ten single on the Billboard Hot 100 at the time, peaking at number 8 and selling over 4 million copies in the US alone, earning a 4x Platinum certification. Rolling Stone put the song on its list of the best 15 whistling songs of all time. Waking Up was later certified Gold in Austria, Germany, and the US for sales of over 500,000, and has since sold over 1 million copies worldwide. "Feel Again" was originally released as the lead single on August 27, 2012, however after the album being delayed it was re-branded as a "promotional single". The song was released as a part of Save the Children's Every Beat Matters campaign, where a portion of the proceeds from the single's sales would be donated. It peaked at number 36 on the US Billboard Hot 100, additionally marking top ten positions in Germany and on the US Adult Pop Songs chart. The single was later certified Platinum in the US. The song was used in an official trailer for The Spectacular Now . The album's first global single, "If I Lose Myself" was released on January 8, 2013. It reached the top ten in Austria, Germany, Poland, Slovakia, Sweden and Switzerland, yet only managed to peak at number 74 on the Billboard Hot 100. The song has since been certified Gold in both Italy and Australia. The album's third single, "Counting Stars", has become their most successful single from the album thus far and the band's biggest hit. The song achieved significant international success, charting within the top five in Australia, Austria, Czech Republic, Denmark, Germany, Hungary, Ireland, Israel, Luxembourg, Poland, New Zealand, Scotland, Slovakia and Spain. It reached number 1 in the UK, marking the band's highest charting song ever in that country, while also peaking at number 2 on the US Billboard Hot 100, their first song to crack the top 5 since Apologize. The song has since peaked at number 1 in 5 countries worldwide and has gone 5x platinum in Australia, 2x Platinum in New Zealand, Platinum in the UK, Gold in Switzerland and Germany, as well as currently holding a 3x Platinum certification in the US. On October 29, 2015, the video for "Counting Stars" became the first video, by a band to reach 1 billion views on YouTube. As of April 2019, the music video has over 2.7 billion views and 9.6 million likes. On April 2, 2013, the band embarked on their headlining concert tour Native Tour in promotion for the album, beginning in Europe. This ran throughout 2013/14 and saw the band perform shows across Europe, North America, Asia and Australia and New Zealand. The 2013 North American tour was a co-headlining tour with singer-songwriter Sara Bareilles,  while the 2014 Native Summer Tour was a co-headlining tour with The Script and American Authors. The tour finished in Russia on November 9, 2014, marking a total of 169 shows and the band's largest tour to date. The album's fourth single, "Something I Need", was released on August 25, 2013. Despite little promotion of the song upon its release due to the late and unexpected success of "Counting Stars", the song has still managed to be certified 2x Platinum in Australia and Platinum in New Zealand as of December 2013. On April 8, 2014, OneRepublic confirmed via Twitter that their new song, "Love Runs Out", recorded at Studio Faust Records in Prague, would be released. 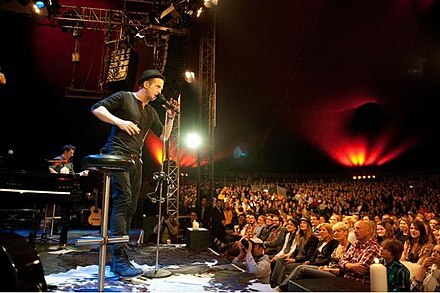 Tedder said that the band had intended the song to be the first single on Native , but that he could not think of a chorus for the song, so the song's release was delayed. The song was added as the second track on the album's re-release on April 14. It was also an internationally successful track, breaking the top 5 in Austria, Germany, Canada, Switzerland, and the UK; and reaching the top 15 on the US Billboard Hot 100 chart. It is used as the promotional song for the show How to Get Away with Murder . On April 18, 2016, the band posted a handwritten letter on their website and they set a countdown to May 12 at 9 PM. They started sending postcards to fans all over the world saying that the lead single from the 4th album is called "Wherever I Go". On May 9, OneRepublic announced that they will release their new song on May 13. They will perform the single at the finale of The Voice of Italy on May 25, 2016. They played at MTV Music Evolution Manila 2016 on June 24 and at BBC Radio 1's Big Weekend in Exeter on Sunday, May 29. On May 13, 2016, the first single "Wherever I Go" of the upcoming album was released. On August 3, the album's official lead single, "Kids", was announced. The song was released on August 12. On August 25, OneRepublic posted that the album would be called Oh My My , with a release date of October 7, 2016. The following week, the album's artwork was revealed. Oh My My became the band's highest-charting debut to date, landing at No. 3 on the Billboard 200. On October 11, 2016, OneRepublic announced on their Twitter account that will be releasing singles through 2018. On November 27, 2016, OneRepublic performed at halftime of the 104th Grey Cup at BMO Field in Toronto. On January 9, 2017, the band released their third single, "Let's Hurt Tonight", making it the soundtrack of the movie Collateral Beauty . On April 27, 2017, OneRepublic lead vocalist and principal songwriter Ryan Tedder published a Facebook post revealing the band's future in releasing new material. In the post, he stated that he dealt with "crippling anxiety" and became ill due to constant touring, recording, and promoting the band's releases. 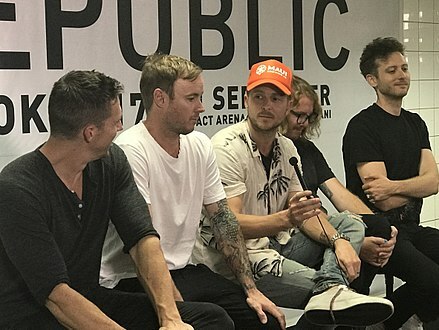 He clarified that OneRepublic would release "new music as often as humanly possible... monthly, weekly sometimes", departing from the typical album cycle system. Singles they have released since the announcement was "No Vacancy", "Truth to Power" and "Rich Love". The fourth single, "Lift Me Up", was released on June 9, 2017, in the form of a remix by Michael Brun. OneRepublic have won several music awards and landed many nominations, including ones for American Music Awards, Billboard Music Awards, World Music Awards, and Grammy Awards. Separately, lead singer Ryan Tedder has won three Grammy Awards due to his songwriting credits for Adele and Taylor Swift. Blue October is an American alternative rock band originally from Houston, Texas. The band was formed in 1995 and currently consists of Justin Furstenfeld, Jeremy Furstenfeld, Ryan Delahoussaye, Matt Noveskey, and Will Knaak. The band has had eleven top 40 singles over their past seven studio albums and is best known for their platinum singles "Hate Me" and "Into the Ocean" from their 2006 platinum album Foiled. "Apologize" is the debut single written by OneRepublic frontman Ryan Tedder for OneRepublic's debut album Dreaming Out Loud. It was released as the lead single of that album. A remix version was included on the Timbaland album, Shock Value, and on the deluxe version of Dreaming Out Loud. "Love Like This" is a song performed by British singer Natasha Bedingfield. It was included as the lead single of Bedingfield's second North American album, Pocketful of Sunshine, and features vocals from Jamacian-American reggae singer Sean Kingston. The song was written by Bedingfield, Kingston, Louis Biancaniello, Rico Love, Ryan Tedder, Sam Watters, and Wayne Wilkins, while production was handled by Biancaniello, Love, Tedder, and Watters under their production group, The Runawayz. Its lyrics discuss finding love with a person who has "been there all your life and has always loved you, but you've never noticed it until now". The official remix features vocals from rapper Lil Wayne and a slightly different beat, produced by Jim Jonsin. Metro Station was an American pop rock band that was formed in Los Angeles by singer Mason Musso and bassist/guitarist Trace Cyrus. In late 2006, the band signed a recording contract with Columbia Records and RED Ink Records. The band is best known for the top 10 Billboard hit single "Shake It" from the group's self-titled debut album. In 2010, tension between Cyrus and Musso caused the band to go on hiatus. In 2011, the band returned, however, it was announced that Cyrus was no longer a part of the group and Musso had purchased the rights to the name. An EP entitled Middle of the Night was released in 2013, which was led by the single "Every Time I Touch You". In 2014, Cyrus and a new drummer, Spencer Steffan, came to the band, and a new single entitled "Love & War" was released. In 2015, the band released a second full-length album titled Savior. After this, the band went on a U.S and European tour, announcing an EP called Bury Me My Love along with a U.S. 10-year anniversary tour. Just before the tour started, the band announced it would be their final tour and stated they were breaking up. "Stop and Stare" is the second single by American band OneRepublic from their debut studio album, Dreaming Out Loud (2007). "Stop and Stare" was released to American radio on November 27, 2007. It was later solicited to British radio on December 16, 2007 reaching number-one and to Australian radio on December 17, 2007, reaching number one as well following up on the global success of the previous top ten single "Apologize". The single was released on March 3, 2008 in the United Kingdom. "Stop and Stare" has sold over two million digital downloads worldwide. "Say " is a song by American pop rock band OneRepublic. It is the third single released from their debut album Dreaming Out Loud and follows the global success of their previous top ten singles, "Apologize" and "Stop and Stare". OneRepublic vocalist Ryan Tedder has commented that "Say is his "favorite track on the album." All five members of the band Ryan Tedder, Zach Filkins, Drew Brown, Eddie Fisher and Brent Kutzle share writing and composing credits on the song. The single was released in the UK on June 2, 2008 and features their Live Lounge cover of Duffy's single "Mercy". The single was released on June 24, 2008 in the United States. American band OneRepublic has released 4 studio albums, 5 extended plays, 26 singles, 7 promotional singles, and 21 music videos. Formed in 2002, OneRepublic first found commercial recognition when their song "Apologize" was released onto Myspace in 2005 and they subsequently became the biggest act on that site. It was remixed by American record producer Timbaland, appearing on his album Shock Value. Released as a single in 2007, the song topped the charts in multiple countries, including Australia and Canada, while also reaching the top three in the United States and the United Kingdom. It has since sold over 3.6 million digital downloads in the United States. The band's debut studio album, Dreaming Out Loud, was released in November 2007. It hit the top ten on the albums charts of countries such as Australia, Canada and the United Kingdom. It also peaked at number 14 on the US Billboard 200, earning a gold certification from the Recording Industry Association of America (RIAA). The album's second single, "Stop and Stare", peaked at number 12 on the US Billboard Hot 100 while also reaching the top five in Austria and the United Kingdom. The album spawned three more singles: "Say ", "Mercy", and "Come Home". Waking Up is the second studio album by American rock band OneRepublic, released through Interscope Records on November 17, 2009. Despite being released to mixed reviews, the album peaked at number 21 on the Billboard 200 and has sold over 660,000 copies in the US and over 800,000 total. "Feel Again" is a song recorded by American rock band OneRepublic for their third studio album Native (2013). It was written and produced by Ryan Tedder, Brent Kutzle, Drew Brown and Noel Zancanella. 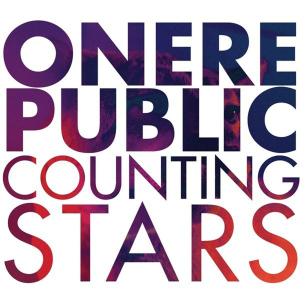 "Counting Stars" is a song by American pop rock band OneRepublic from their third studio album, Native (2013). The song was written by lead singer Ryan Tedder, and produced by Tedder and Noel Zancanella. It was released as the album's third single on June 14, 2013. "Love Runs Out" is a song recorded by American pop rock band OneRepublic for the 2014 reissue of their third studio album Native (2013). It was produced by Ryan Tedder, who co-wrote the song with Brent Kutzle, Drew Brown, Zach Filkins, and Eddie Fisher. The song was digitally released in Australia on April 14, 2014, and was serviced to contemporary hit radio in the United States on May 6 as the fifth overall single from the album. "No Vacancy" is a song by American pop rock band OneRepublic. It was released as a single via digital download on April 28, 2017. It was written by band members Ryan Tedder, Brent Kutzle, Drew Brown, and Zach Filkins, as well as Tor Erik Hermansen and Mikkel Storleer Eriksen from the Norwegian production and songwriting duo Stargate. The song was co-produced by Stargate and Tedder. ↑ Heifetz, Elliah (2015). 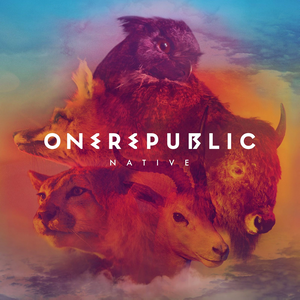 "OneRepublic – Native". MusicOMH. Retrieved May 22, 2015. 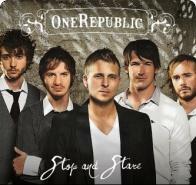 ↑ "OneRepublic : Biography". OneRepublic. 1 2 "Talking Shop: Ryan Tedder". BBC News Entertainment. November 6, 2007. ↑ "BBC – Music – OneRepublic". BBC. 1 2 "OneRepublic Waking Up" (pdf). Campbell.edu. Retrieved June 17, 2015. ↑ Freedman, Pete (December 13, 2007). "One Love: Who the Hell is OneRepublic? And What's This About Them Being from the Springs?Arijit is great". Colorado Springs Independent. ↑ Amos, Joel D. (June 9, 2008). "One Republic has 'All I Need'". SheKnows. ↑ Brown, August (November 20, 2007). "Rocky road to the top". Los Angeles Times. ↑ Caulfield, Keith. "Blake Shelton Set for His Best Sales Week Ever on Billboard 200 Chart". Billboard. Retrieved March 29, 2015. ↑ Leahey, Andrew (November 20, 2007). "( Dreaming Out Loud > Review )". Allmusic. Retrieved March 26, 2010. ↑ "OneRepublic – Dreaming Our Loud". Robert Christgau. Retrieved March 26, 2010. ↑ "OneRepublic: Artist to Watch 2009". Rolling Stone : Rock and Roll Daily. October 26, 2007. Archived from the original on November 30, 2007. ↑ Thrills, Adrian. "He wrote Leona Lewis's huge hit Bleeding Love and stood up to Simon Cowell but Ryan Tedder just wants to be a star himself". Daily Mail. Retrieved September 7, 2015. ↑ "OneRepublic's "Apologize" Hits 3 Million Download Sales". Digital Media Wire. February 27, 2008. ↑ "Waking Up (Deluxe Version) by OneRepublic – Download Waking Up (Deluxe Version) on iTunes". Itunes.apple.com. November 17, 2009. Retrieved May 28, 2010. ↑ "Hits And Misses Of '09!". PerezHilton.com. December 31, 2009. Retrieved May 28, 2010. ↑ "Bon Jovi". The O2. Retrieved May 28, 2010. ↑ Dreadale, Andrea (November 14, 2011). "OneRepublic Preps New Christmas Song, Plans New Single for March". ABC. 1 2 "OneRepublic Going 'Native' in March, Release Single". Billboard. January 8, 2013. Retrieved March 1, 2013. ↑ Caufield, Keith (April 3, 2013). "Justin Timberlake's '20/20' Spends Second Week At No. 1 on Billboard 200, Lil Wayne Enters at No. 2". Billboard. ↑ Twitter / OneRepublic: Perfect place to announce the. Twitter.com. Retrieved on September 16, 2012. ↑ "Twitter". Twitter. Retrieved March 1, 2013. ↑ "Sara Bareilles, OneRepublic Announce Co-Headlining Tour". Billboard.com. June 4, 2013. Retrieved July 13, 2013. ↑ "Tour". OneRepublic. Retrieved December 29, 2013. ↑ @OneRepublic (April 8, 2014). "#LOVERUNSOUT on April 14th. Sneak preview here: soundcloud.com/interscope/onerepublic-love-runs-out/s-Xn4Os ..." (Tweet). Retrieved December 1, 2014– via Twitter. ↑ "Latest Chart News". Bigtop40. ↑ @OneRepublic (April 13, 2014). "Get #LoveRunsOut now on the new edition of NATIVE on @iTunesMusic! smarturl.it/native" (Tweet). Retrieved December 1, 2014– via Twitter. 1 2 Corinthos, Aurelie (November 24, 2014). "OneRepublic's Ryan Tedder Wrote This Song for His Son – And Now the Remix Will Help Fight AIDS". People . ↑ Kotesha, Nisha. "OneRepublic Join Search For Cystic Fibrosis Cure". Good News Shared. ↑ Stutz, Colin (September 25, 2014). "Watch OneRepublic's Touching 'I Lived' Video, Dedicated to Fan With Cystic Fibrosis". Billboard. ↑ @OneRepublic (November 1, 2014). "Hotel recording, Poland. Album 4" (Tweet). Retrieved December 1, 2014– via Twitter. ↑ @OneRepublic (November 7, 2014). "Mid-afternoon, working on new album, and this is the view ..... LP 4 is fun already" (Tweet). Retrieved December 1, 2014– via Twitter. ↑ Reid, Tashauna. "OneRepublic talks about Canadian tour and new music". CBC News. Retrieved June 17, 2015. ↑ Julie Bort (September 9, 2015). "Tim Cook and Ryan Tedder selfie from Apple event – Business Insider". Business Insider. ↑ @OneRepublic (November 21, 2015). "Yes, We are looking at a window for 1st single now, can't say what it is yet, but it's coming in the new year. Gotta narrow down songs now!" (Tweet) – via Twitter. ↑ "OneRepublic on Twitter" . Retrieved August 25, 2016. ↑ Daw, Robbie (August 31, 2016). "OneRepublic Reveal 'Oh My My' Album Cover, Announce October Release Date". Idolator . Retrieved August 31, 2016. ↑ Kaufman, Gil (February 16, 2017). "OneRepublic Headlining 2017 Honda Civic Tour: See the Dates". Billboard. ↑ Parton, Chris (January 12, 2018). "Zac Brown Band Announce 2018 'Down the Rabbit Hole Live' Tour". Rolling Stone. Rolling Stone. Retrieved February 12, 2018. ↑ "One Republic on purevolume.com". PureVolume.com. ↑ O'Donnell, Kevin (August 11, 2016). "OneRepublic release epic new anthem 'Kids'". Entertainment Weekly . Retrieved August 27, 2016. ↑ Getz, Dana (May 13, 2016). "OneRepublic's Ryan Tedder explains how Prince inspired their new single". Entertainment Weekly . Retrieved October 25, 2016.